After an incredible run with five Grammy nominations, a commercially successful debut album “American Teen” and amazing collaborations with Logic, Future, Calvin Harris and SZA, Khalid returns with an EP skillfully presenting the never-ending cycle of the American teenager’s journey. Khalid continues to go beyond creating music the youth will enjoy on his new album “Sun City” — he’s making virtually timeless music focused on teen angst. These multidimensional songs touches on relationships with friends, significant others, family and personal self-doubts, all while capturing the beauty of the last years of adolescence. Being from a small town in Texas myself, it’s amazing how Khalid beautifully captures those summer nights hanging out with friends, running into the store getting cigarillos, reminiscing about the good times and speculating about the future as we all try to figure out what’s next. It feels like my summer before my freshman year of college. On the interlude a woman speaks about fear being a hindrance, trying to find the right direction for her life, wanting some reassurance and being happy. This one-minute stream of consciousness closes with another woman saying, “I’m trying to get so motherf*****g high, ni**a. I don’t wanna feel nothing.” This extreme juxtaposition is a direct reminder of people I know — some of whom escaped the small town, and the others who may still be there. “Sun City” feels reminiscent of Diplo’s “California” EP from earlier this year because both artists used a place in an allegorical manner as they explored similar mindsets. In Khalid’s case, the message says, “Don’t let the city break your heart.” While the two EPs are around the same length, unlike Diplo, Khalid didn’t create the satisfying finale a project with such great content should have. The outro song “Sun City” is anticlimactic. While it’s cool to hear Khalid switch back and forth from English and Spanish, it doesn’t give a conclusion to the story he’s told throughout the project. Additionally, the instrumentation on this song, the upbeat tempo and his vocal tone builds an unwanted separation from the other songs. 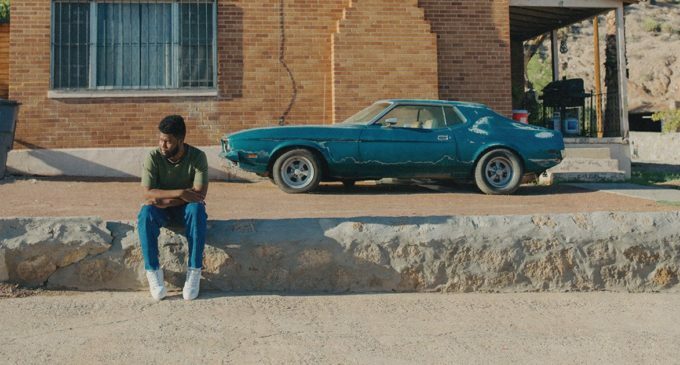 Nonetheless, Khalid’s “Sun City” EP is a promising message to the small-town dreamers that, just like Khalid, they can reach their dreams no matter how impossible it may seem at times. The Dose: Should you buy the “New” Nintendo 3DS XL?